Definition at line 1734 of file CCopasiXMLParser.h. Definition at line 1742 of file CCopasiXMLParser.h. Definition at line 1992 of file CCopasiXMLParser.cpp. Definition at line 1999 of file CCopasiXMLParser.cpp. Definition at line 2061 of file CCopasiXMLParser.cpp. 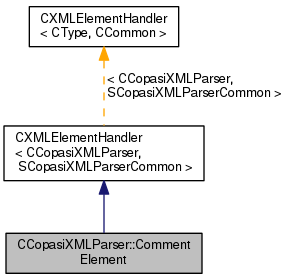 References SCopasiXMLParserCommon::CharacterData, CCopasiMessage::EXCEPTION, CCopasiXMLParser::mCommon, MCXML, CExpatTemplate< CExpat >::mParser, CCopasiXMLInterface::none, START_ELEMENT, and UNKNOWN_ELEMENT. Definition at line 2004 of file CCopasiXMLParser.cpp. References CCopasiXMLInterface::attribute, CCopasiXMLInterface::encode(), CCopasiMessage::EXCEPTION, MCXML, CExpatTemplate< CExpat >::mParser, CCopasiXMLInterface::standard, and UNKNOWN_ELEMENT. 2041 mXhtml << " " << *ppAttrs << "=\""
Definition at line 1761 of file CCopasiXMLParser.h. 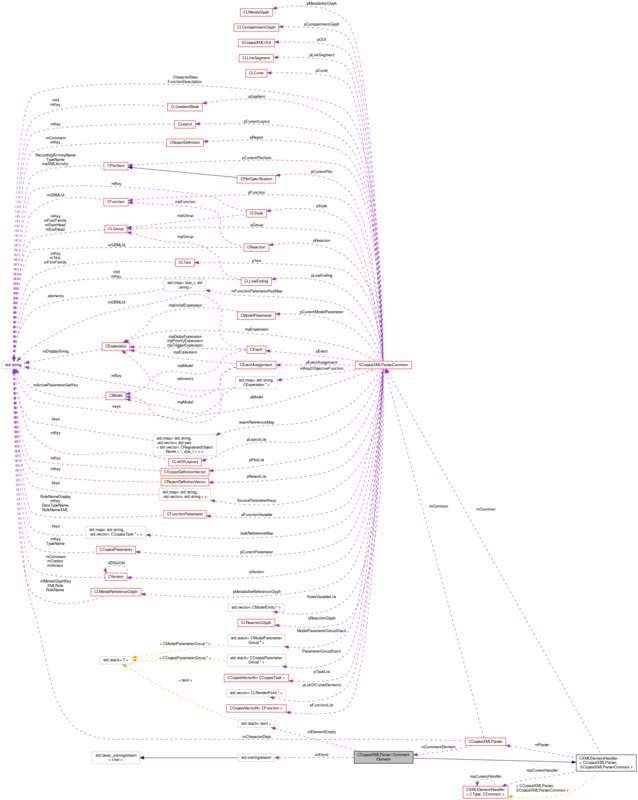 The level of nested xhtml elements. Definition at line 1756 of file CCopasiXMLParser.h. Definition at line 1751 of file CCopasiXMLParser.h.